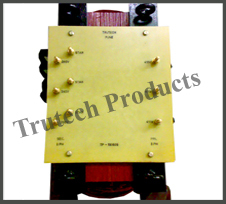 Trutech Products was laid down its footprint in the year 1997 under the guidance of Mr. Mukesh Tolani the respected owner of the company. Since then, we have gained a huge appreciation and now carved our position in the market as famous Transformers Manufacturers in India. Furthermore, our complete range of transformers including Step-down, Three Phase, Control, Rectifier, Auto and Special Purpose, etc. thoroughly checked on different quality stages under the surveillance of our quality officer. This will help us to ensure the quality of our product, In addition to this, our customers are highly satisfied with our complete range and we are happy to know that they have blind faith in us. We provide after sale services including doorstep delivery, installation, etc. to our valued clients. 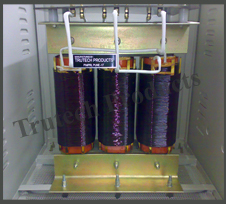 Trutech Products is the most diligent Transformer Manufacturers In India and throughout the various other countries over the globe. Since the establishment of the company, we are providing technologically advanced products so you can have all the available ways for your industrial applications. Reach us through the numbers provided to your screens or leave your enquiries on the given email address to know more about us. At Trutech Products, we are inspired with the latest technologies as being the ISO certified Isolation Transformer Manufacturers in the national as well as the international market areas. Since the inception, we are crafting best products so you can achieve the flawless industrial applications every time. Reach us through the email address provided on the screen or dial the phone number provided below.